Tiny Function Generator PCB, based on an ATtiny85. 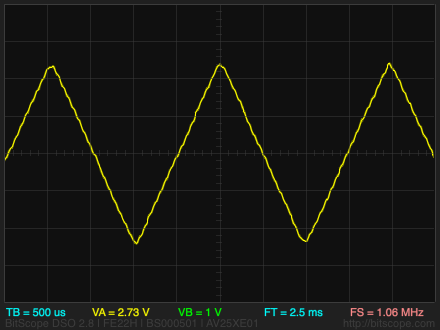 The original article Tiny Function Generator included seven waveforms, and the follow-up article Tiny Function Generator Sine Wave added the sine wave. 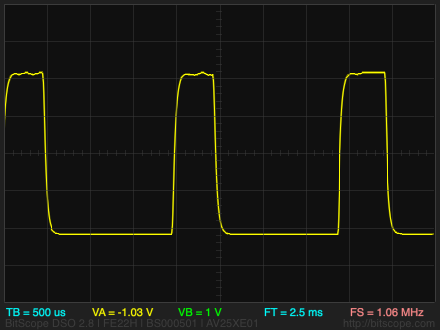 For each waveform (except the noise) you can adjust the frequency by turning the rotary encoder. 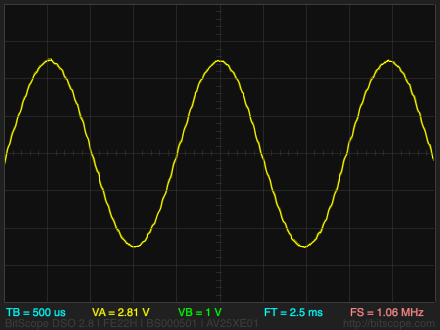 An icon representing the currently selected waveform, and the frequency in Hz, are shown on the OLED display. 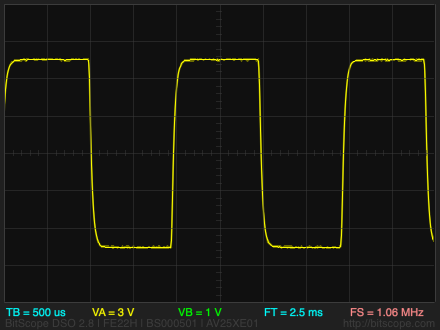 Circuit of the ATtiny85-based Tiny Function Generator. 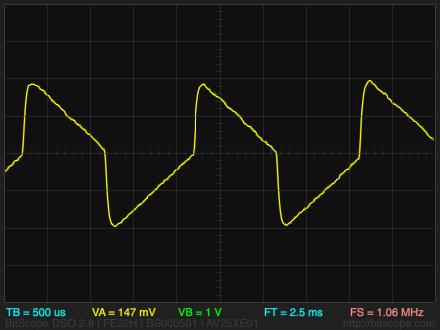 Because the output at PB1 varies between 0V and +5V there's a +2.5V DC offset on the waveforms. 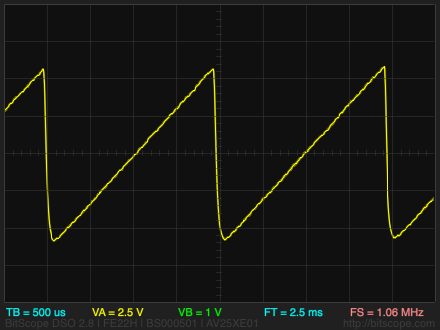 The offset is avoided by taking the output relative to a virtual ground created by the two 10kΩ resistors. Although I'm a fan of surface-mount, the rotary encoder and OLED display are through-hole, so in this case I decided to use through-hole components throughout to make it easier to construct the circuit without needing SMD experience. I designed a board in Eagle and sent it to PCBWay for fabrication . There's a link to the Eagle files at the end of the article if you want to make yourself a board. The board is designed around a low-cost an OLED 128x32 I2C display module from AliExpress  held in place with a double-sided self-adhesive foam pad. I programmed the ATtiny85 after I had soldered it onto the circuit board by piggy-backing an 8-pin IC socket on top of it, and then plugged in the wires from my Tiny AVR Programmer board. Alternatively you could program the ATtiny85 in the socket on the Tiny AVR Programmer board before soldering it in, or use an IC socket. For details of the program, and information about how to upload it to the ATtiny85, see the original article Tiny Function Generator. 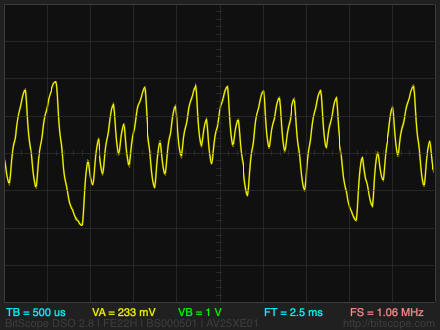 Here's the whole Tiny Function Generator program: Tiny Function Generator PCB Program. 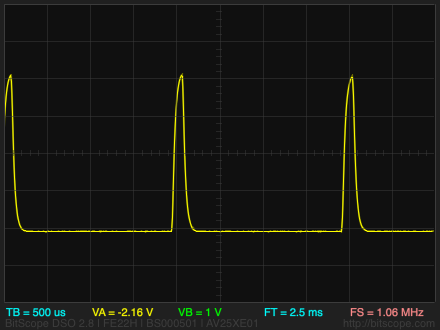 Alternatively, get it on GitHub here together with the Eagle files for the PCB: Tiny Function Generator on GitHub. 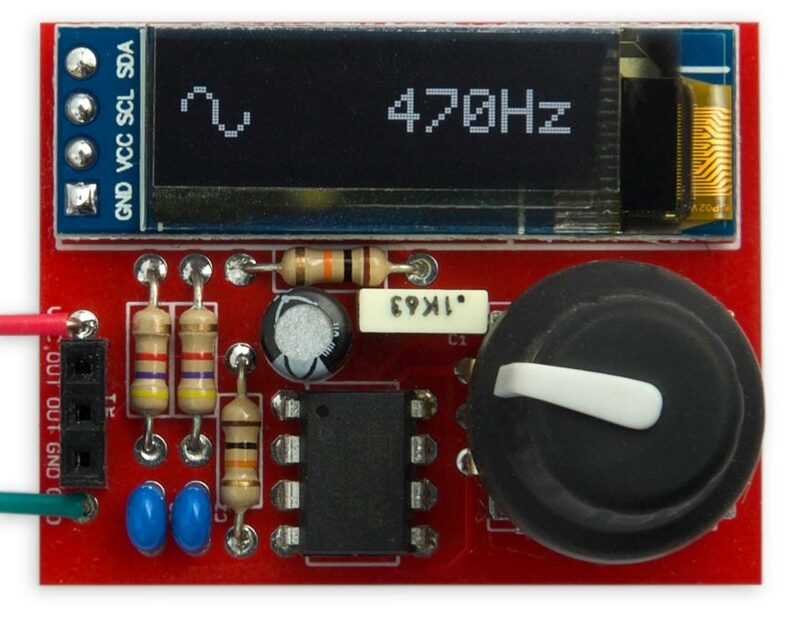 Or order a board from OSH Park here: Tiny Function Generator Board. ^ 0.91 inch 128x32 I2C IIC Serial OLED LCD Display Module on AliExpress.